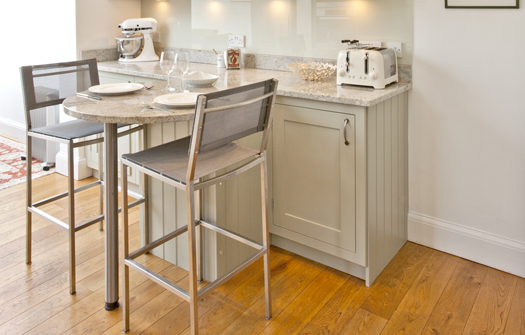 When you look at our handmade kitchens, the superb craftsmanship of the cabinets, drawers and worktops just sings out. 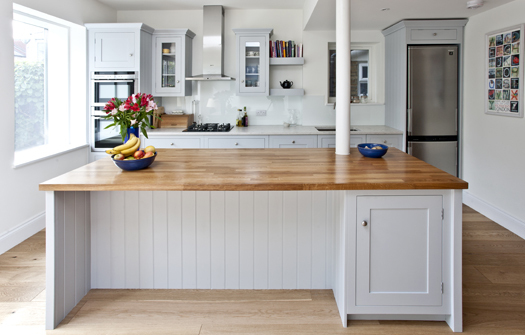 The kitchen is the heart of your home, so it makes sense to invest in handmade kitchen furniture and fittings that embody your taste and which you will love and live in for years to come. The true delight of a handmade kitchen is in the detail. Features such as dovetail joints, tailored cabinets that make the most of your space, innovative storage racks and larder cupboards and cupboard interiors combine to make even the most mundane everyday kitchen task a pleasure. Natural materials used sympathetically can be combined to make a room that you can truly call your own. Woods such as oak and ash blend with natural slate or concrete to deliver a stunning room that is as individual as you are. Choose from understated elegance that exudes quality or let your creative side flourish and go for something more adventurous. 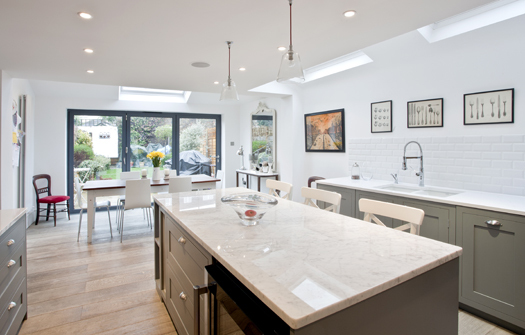 Handmade kitchens don’t have to be traditional. 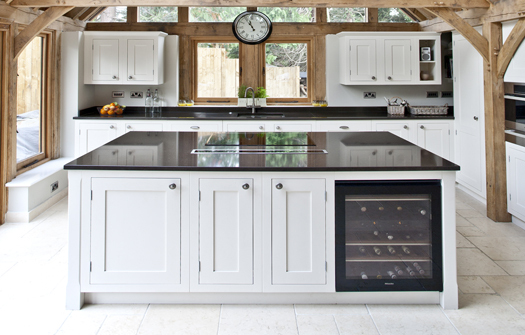 By adding striking features such as concealed groove handles or a pop of colour inside cupboards or in a glass splashback, you can create a handmade kitchen that offers a stylish and contemporary space to relax, entertain, live and love.